In the ninth episode of Star Trek, "Dagger of the Mind," Spock unveiled one of his most famous abilities for the first time. The Enterprise arrives at Tantalus V, a colony that happens to house the criminally insane. A frantic man named Simon van Gelder boards the ship and storms the bridge. Spock subdues him with a Vulcan nerve pinch, a move that had debuted a few episodes earlier in "The Enemy Within." Later in this tale, Van Gelder suffers the effects of a sinister device called "neural neutralizer." He convulses in pain and turns somewhat catatonic. 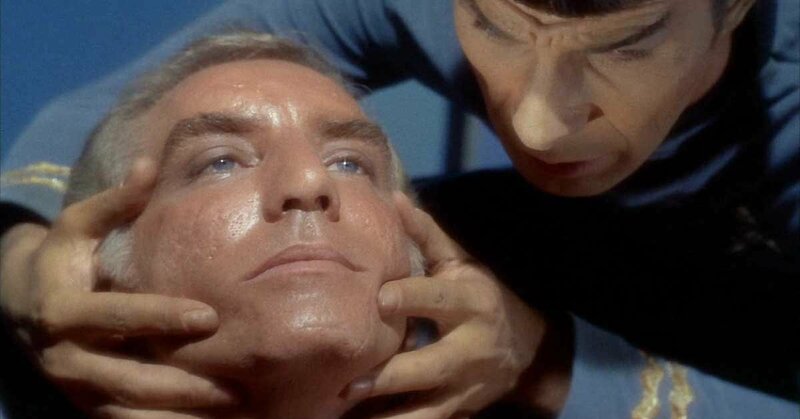 To get to the bottom of it all — and Van Gelder's memories — Spock employs his Vulcan mind meld. Not only is it the first time the audience ever sees the technique, but it's also explained the be the first time Spock uses the mind meld on a human. 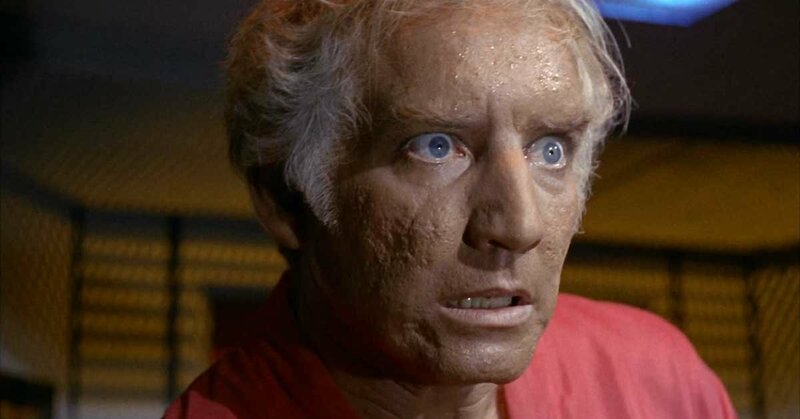 Morgan Woodward portrayed the man under the Vulcan's fingertips. The character actor would return to Star Trek in season two for another significant guest role in "The Omega Glory," playing Captain Tracey, the lone survivor of the U.S.S. Exeter. But audiences likely recognized Woodward best underneath a cowboy hat. Born in Texas, Woodward was suited for roles in Westerns. After flying planes for the Army Air Corps pilot at the mere age of 16, Woodward studied drama in college. In Hollywood, he found plenty of work as a television cowboy. He landed a regular role as Shotgun Gibbs on The Life and Legend of Wyatt Earp. Later in life, he portrayed Marvin "Punk" Anderson on Dallas. Despite never holding a regular role on Gunsmoke, Woodward holds a special distinction on that iconic series. 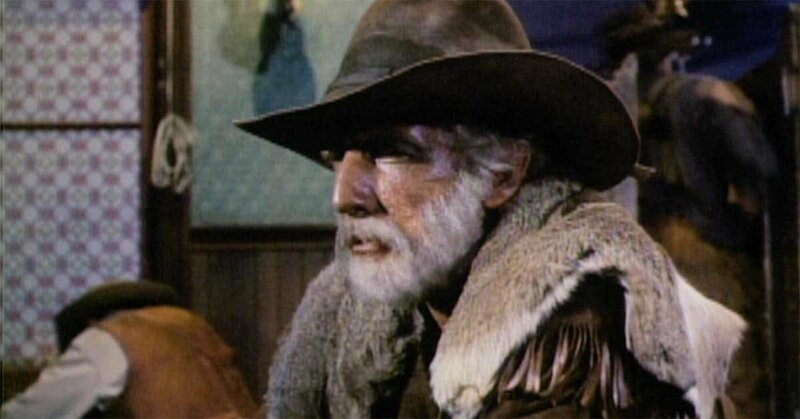 He guest-starred on the show more than any other actor, a whopping 19 times, playing everything from a grizzled mountain man (Luke Brazo in "Lobo") to a murderous old man with his sights on Matt Dillon (Abraham Wakefield in "Matt Dillon Must Die"). Decades later, Woodward would return to Dodge City, playing a sheriff in the 1992 made-for-TV movie Gunsmoke: To the Last Man. Woodward also turned up on Wagon Train a dozen times. On the big screen, the actor is best known for his role as Boss Godfrey, the rifleman who watches over the chain gang behind mirrored sunglasses, in Cool Hand Luke. Woodward passed away on Friday, according to The Hollywood Reporter. He was 93 years old.